Imagine a model from a "Top Secret Government Agency" crossed with an "Inter-galactic deep space probe" and you pretty much have the Quest Triton X Model Rocket Quick Kit. The Triton X has great looking decals and that transitional body style that says "seriously cool". 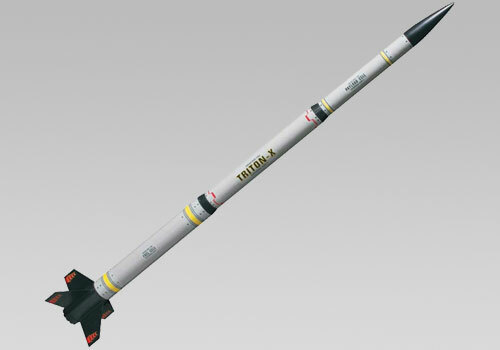 The Triton X is a model rocket that can be built in 15 to 45 minutes.